Considering Instagram as a potential tool to for those on the margins to self-define identity, I will be exploring the use of selfies by black trans people to establish a sense of chosen gender and sense of self determination. Over my residency period, I will create a series of posts that tell a narrative about black trans culture in Toronto, and will celebrate the Black Trans Self(ie)‘s gifts to our communities. Syrus Marcus Ware is a Vanier Scholar, visual artist, activist, curator and educator. Syrus uses painting, installation and performance to explore social justice frameworks and black activist culture. His work has been shown widely, including at the Art Gallery of Ontario, the University of Lethbridge Art Gallery, Art Gallery of York University and The Gladstone Hotel. His performance works have been part of festivals across Canada. He is part of the PDA (Performance Disability Art) Collective and co-programmed Crip Your World: An Intergalactic Queer/POC Sick and Disabled Extravaganza as part of Mayworks 2014. He is also a part of the Black Triangle Arts Collective (BTAC), a visual arts collective dedicated to exploring disability, racial and economic justice. Syrus’ recent curatorial projects include That’s So Gay: On the Edge, TSG: Fall to Pieces, TSG: Come Together (Gladstone Hotel, 2016, 2015 & 2014), Re:Purpose (Robert McLaughlin Gallery, 2014) and The Church Street Mural Project (Church-Wellesley Village, 2013). Syrus is also co-curator of The Cycle, a two-year disability arts performance initiative of the National Arts Centre. He is a facilitator/designer at The Banff Centre, and for 12 years was the Coordinator of the Art Gallery of Ontario Youth Program. Syrus is the inaugural Daniels Spectrum Artist-in-Residence (2016/17). Syrus is a core-team member of Black Lives Matter – Toronto. Syrus is also part of Blackness Yes!/Blockorama. 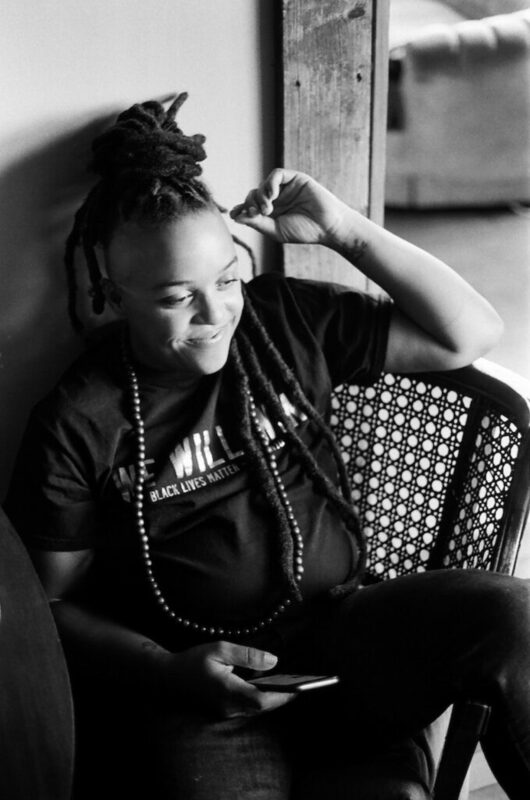 Syrus was voted “Best Queer Activist” by NOW Magazine (2005) and was awarded the Steinert and Ferreiro Award for LGBT community leadership and activism (2012). Syrus is working on a PhD at York University in the Faculty of Environmental Studies.